Suckley Church is at the very heart of our lovely village of Suckley where worship continues as it has done for centuries with the bells inviting folk to services, baptisms and weddings. The current church was built between 1878 and 1889, replacing an earlier smaller building on the same site as the need to cater for a larger congregation arose. (The earlier smaller church had the first Suckley School within its walls!) Changes of population, church-going and priorities of modern life all contribute to our church no longer being at the hub of village life. This large and previously vibrant church is now open but empty for most of the time. The present worshipping congregation has reached a level where the cost of the material upkeep of the church is unsustainable without a major review of the way our church is funded in the future. The neighbouring church of Knightwick closed and was decommissioned in the 1990s when a similar situation arose. Similarly, Lulsley Chapel, Linley Green Chapel, Tedstone Wafre Church, and Wolferlow Church and are all WR6 places of worship that have become redundant in recent years. The PCC and the villagers of Suckley are keen to see our Church remain open and have a future in the 21st Century. If we want to maintain the church as a viable building and look to increase its usefulness for the whole community of Suckley, then we need to take action before it is too late. In addition to the need for routine maintenance of our church, there is clearly a need to provide modern facilities, such as toilets, running water and kitchen, to enable the church to be properly functional for major events, such as festivals, baptisms, weddings and funerals, when the church can be full. In addition to the needs of the church, the local village primary school situated next door to the church has a need to be able to expand its activities as it continues to be successful and plan for growth. Prior to the building of the current school building the school used to be housed within the previous church building in the south west corner, and our vision for the future is to see the school able to return to using the church building, using the available vast space (which is seldom used other than on Sundays) for activities such as large assemblies, PE, additional classes, concerts etc. Whilst bringing life back in to the Church, this rental income from the School would provide a major source of money to enable to church to remain financially viable. 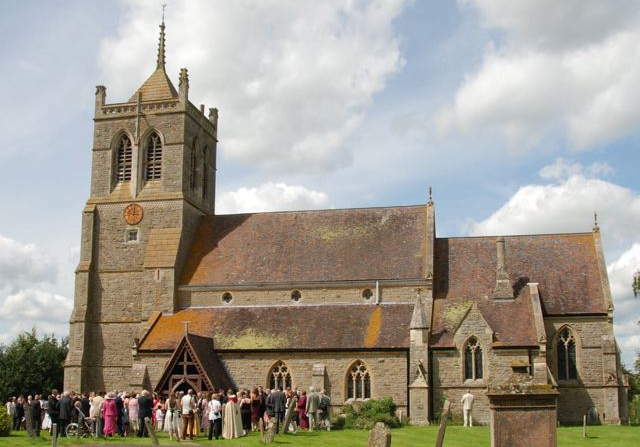 We, the PCC, plan to develop the space within Suckley church so that it becomes more relevant to the needs of the church community, the wider village and the school, and at the same time provide an income stream from this use, which will enable the church to survive and remain viable in the 21st century. The SPACE (Suckley Parish Academy and Church Enterprise) project has been developed by a Steering Committee made up of the PCC and 11 others drawn from the wider village. The plan is to open up the main body of the church as a multi-functional space with removable stackable seating, so that the space may become useful for school and other activities, and become more user friendly for its role as our village church. In the bottom of the tower there will be toilets and good kitchen facilities to support these expanded activities. The Vestry could adapt to include a room for Sunday School, and enable other small meetings there whilst the main body of the church is in use. This plan has the enthusiastic support of the headmaster and governors of the school, the Archdeacon and the Diocesan Advisory Council (DAC). This DAC support is the church equivalent of obtaining ordinary planning consent. Clearly any extensions and alterations will be carried out with the advice of the DAC, the Diocesan architect, and will be sympathetic to the historical character of the current church building. We would expect to be able to maintain and improve all the present church activities. We have taken the advice of a professional fundraiser and will be approaching various Trusts and other grant giving bodies, such as the National Lottery, to seek the majority of the necessary funding.